Founded in 1970 by Berry Gordy of Motown Records, Black Forum served as a platform for political spoken word and music during a time of civil unrest. 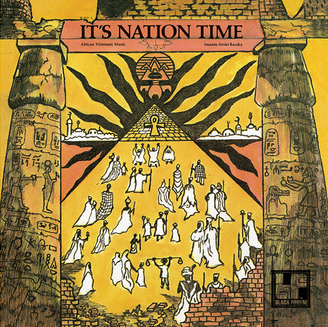 With contributions from some of the era's most visible and influential thought leaders, including Amiri Baraka, Elaine Brown, Stokely Carmichael, Langston Hughes, and Dr. Martin Luther King Jr., eight albums and one single were released between 1970 and 1973 under the Black Forum label imprint. Highlighting the enduring relevance of the label's progressive themes over 40 years later, the program will feature an installation and workshop with OlaRonke Akinmowo's Free Black Women's Library; DJ sets by Rich Medina including music of and inspired by the era; and a discussion between professor Michael Dinwiddie, Sadie Barnette, and James Mtume, percussionist and composer who performed on Amiri Baraka's 1972 Black Forum release, It's Nation Time - African Visionary Music.